People used to tell me I was pretty but I never believed it. I always felt like they had an ulterior motive. I thought they said those things so that they could use me or because they pitied me or were being kind. I was wary, suspicious, and distant. I did not like to look at my body. I did not know how to pick clothes or hairstyles that would make me look good. No matter how I dressed or did my hair, it didn’t make much difference. I was too skinny, too awkward, I did not measure up to the people I admired—the ones with self-confidence, the beautiful people, the ones who did not have a dirty, ugly secret like mine. I kept the real me hidden away from the world. If they knew the real me they would be so repulsed so I became a person I thought they wanted to see. I realized a while back that my oldest daughter looks a lot like I did when I was younger. I put my daughter’s pictures and my pictures side-by-side to compare our looks at different ages. We almost look like twins. She is absolutely beautiful. Why is it that I can see her as beautiful, yet not see myself that way? It is sad to realize that the way I pictured myself was so distorted by all the feelings of shame and self-loathing from childhood sexual abuse. I learned to sabotage myself just like the important people in my life had done to me. I believed I did not matter, that I was a placeholder in my family, the youngest child. The tagalong kid. The afterthought. The invisible one. I built up my courage to explore other possibilities. 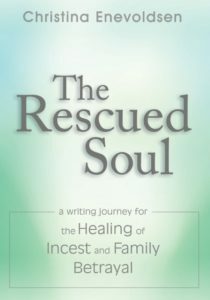 I began to believe the messages of hope and acceptance that wiped away the shame and guilt. It wasn’t my fault; I am not dirty or shameful. I was a victim of horrible shameless people who never saw me. There were many people who manipulated and used me and fed me lies, for their own selfishness. I had accepted their view and I only saw what they saw in me. Even when I told my secret, people reacted with revulsion. I interpreted their revulsion, as I was repulsive. But I was separate from what happened to me. The things they did to me were ugly and now I can see the ugliness came from them. I am a really beautiful person, inside and out. I am the beautiful person that my husband says I am and my children look up to and my friends cherish. I can look at me and know I am beautiful! Yippee! How Can I “Be Myself” If I Don’t Know Who That Is? 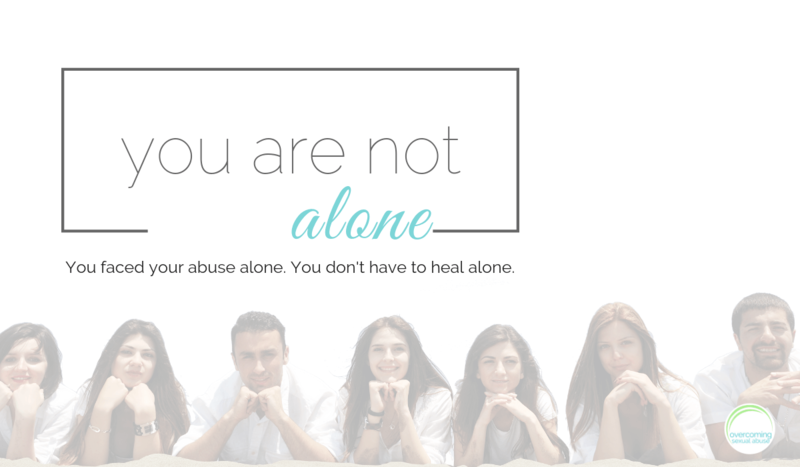 ← Overcoming Sexual Abuse: My Healing or My Marriage? I can really relate to the way you reacted to people telling you that you’re pretty. I either thought they were being nice out of pity, which just made me feel pathetic OR I felt threatened because they wanted something and I KNEW what that something was. Either way, I couldn’t receive what was mostly meant as a compliment. Thanks for sharing this with us! Learning to take a compliment has been a learning experience…learning to believe the words is wonderful. Even when people say some things that are no so nice…it does not bother me because it is what I feel about myself that is important. I have my “frumpy” days as anyone does… I usually I need a haircut and I go out and get one and do something to make me feel good. Thanks for your caring and support..you are beautiful inside and out. I can so relate. I look back on pictures of me when I felt obese and ugly and wondered why I felt like that. The men in my life never gave me compliments and I believed my own lies. So, when others would give me a compliment I never believed it. I love you. You are the best! I usually got criticism and not compliments from significant others and as the years went on it was, ‘look what I’ve done for you” along with the criticism. We’ve come a long way.By the way, you are beautiful! ? I had TONS of stuff around body image. I still have trouble with it now ~ I haven’t finished sorting out all the mixed messages and false beliefs around body stuff. I look at photos of me when I was younger and WOW I was so beautiful and my body was perfect and my identity was wrapped all around that. I had been abused too, but I believed my VALUE was in that perfect body anyway. I was taught that my sexuality was all that I had. Those were huge lies for me to overcome. I was afriad to gain weight, and afraid to be the right weight. This is a hgue huge topic! I love this post Linda! Thank-you for sharing on such an important topic. Years of insecurity and self-hatred often plague those who are survivors of sexual abuse. I suffered with this and still do to some degree. In the last five years I was given a most beautiful gift in a spiritual father who was my pastor at the last church I attended. I came to see myself as lovable and good because of who God created me to be. I have been determined for a long time to overcome in the last 30 years what 3 years of sexual abuse did to my heart and mind. I am on the winning end of this thing. I have found that my faith and hope in God is what makes me stronger and willing to continue to renew my mind. I am learning to see myself through God’s eyes and not my own or anyone else’s. It takes courage for us to survive and thrive. I love how even though years of problems the way we come to view ourselves can be reversed and undone by the mercy, grace and compassion that God shows His children. He loves so very much and desires to heal our broken hearts. Darlene, I think that as I get older and finally have learned to accept that I was beautiful when i was younger, I am learning to accept the changes that aging brings too. It sure is a huge topic and one that is twisted around everything that we are. I see your beauty and I am glad I know you!! that I don’t deserve pain…I do indeed deserve love. Linda, thank you so much for sharing your story. It’s like you wrote mine. To this day I find it hard to accept a compliment, though I don’t have a problem giving them. I believe everyone should be complimented daily, it’s good for the soul. This perpetration of MY soul seems to live on forever. Years of therapy, learning to believe that I am a beautiful, passionate woman with a good heart has been a never ending journey. Everytime I tell myself that I’ve dealt with it, something happens to trigger a memory, or a smell will hit me and take me back, and I feel so vulnerable again. I question why bad things happen to good people all the time. But I’m getting better at pulling myself out of the memory and back to reality, which is a 53yr old woman who has lived a life of abuse and survived. I am living alone for the first time in my life and actually enjoying it. Sure I isolate at times, but on the whole, I like who I am, have become, and continue to finally like me. Every survivor should hear your story, and all the stories of women like us. There’s a saying that what doesn’t kill you makes you stronger. I believe survivors are the strongest of all. When I was a child, because of my shame from being molested, I didn’t think I looked like a kid. I related to Kafka’s Metamorphosis, I had no problem imagining feeling like a bug instead of a human. This sounds a lot like the old me. Except I wasn’t skinny. I managed the feelings associated with my abuse by eating, so I was a chunky little kid. I hated the way I looked, and never thought I was beautiful. I met my husband when I was 18. He told me (and still does) that I was beautiful all of the time, and I never believed him. I didn’t begin to believe him until I started to understand my value. Once I realized that I had a purpose, and a unique assignment, I wanted to know more. The closer I got to my creator, the more beautiful I felt.